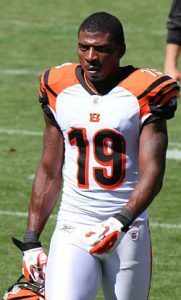 Bengals cut veteran WR Brandon Tate via NFL Network, Cincinnati Bengals all-time punt return leader with 1,411 yards. Tate was drafted by the New England Patriots in the third round of the 2009 NFL Draft. He played college football at North Carolina. The #Bengals have cut long-time return man and WR Brandon Tate, source said. Did it early to give him time to catch on.